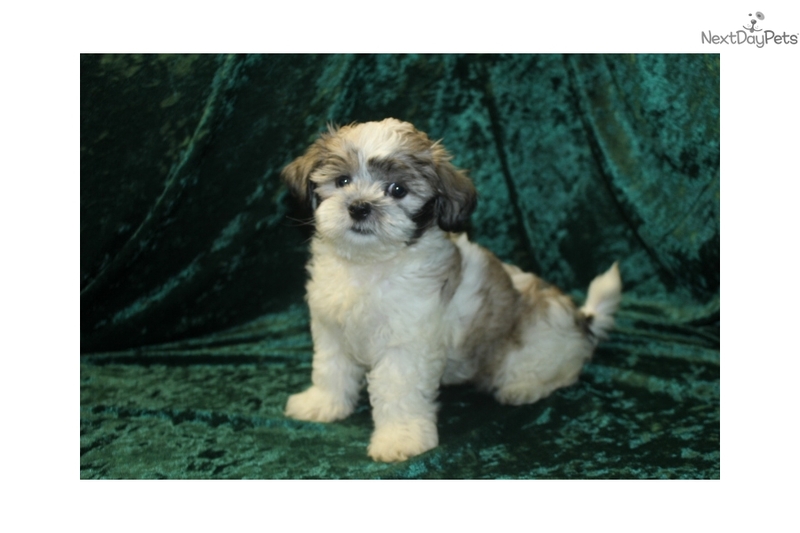 This Shih-Poo - Shihpoo nicknamed Snickerdoodles sold and went to a new family. Let me introduce you to Snickerdoodles he is so sweet and loving you will want him by your side all the time. Just look at his face isn't he truly the most handsome puppies on Earth with a great personality. Well he wants to talk to you so here he is. 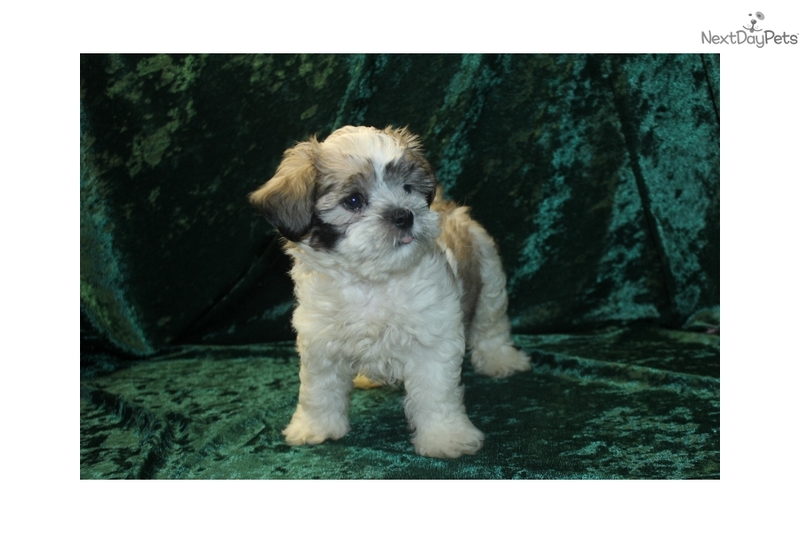 Hey I'm Snickerdoodles and I promise you can search the whole world and not find a lovelier puppy than me! I will be more than honored if you choose me to love you forever. I promise to fill your life with joy, to give you tones of love, to be your best friend, and to make every day that we spend together very special for you. We can cuddle, play, and laugh at all the silly things that we will do together. Please call now! I would like to start planning all the fun things that best friends do! When I go home with you. Hey grandma gave my litter cookie names because my mommy is Oreo and I’m Snickerdoodles! I was born on June 26th and ready Aug 22nd. 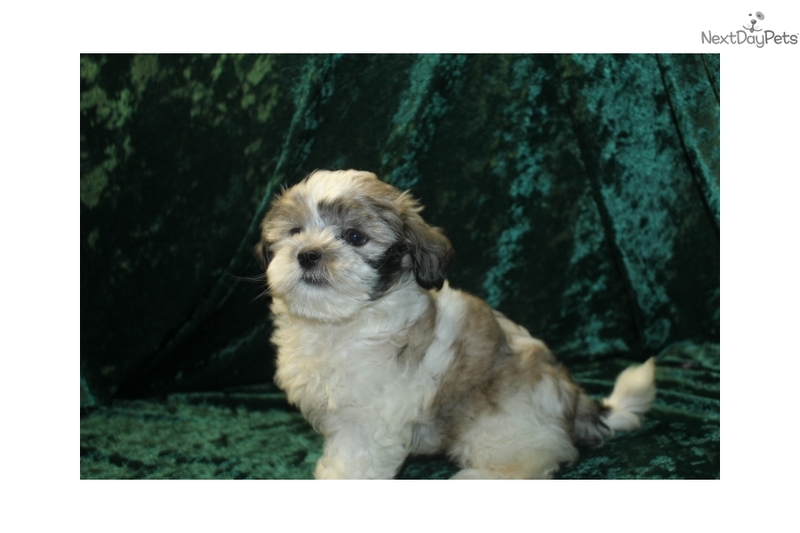 My Mom Oreo is a beautiful 12 lb black and white Shih Tzu and my dad Tori is a gorgeous red 10 Poodle making me the sweetest with a beautiful full tail. My dew claws were removed and I am a cutie pie for sure. If you pick me I promise not to disappoint you. I am known as a specialty designer hybrid pup great for people with allergies because I am hypo-allergenic and non-shedding after all who wants to wear dog all the time if you're a human. I know I'm young but I promise to always love you (and I'm really smart too). Since grandma has entrusted me telling you why I am the one for you let me tell you how she does things her to prepare us for the transition from here to you. Since grandma has entrusted me to tell you why I'm the one I will start out by saying; Some people say grandma pups are more expensive and as they are if you compare us to a family who has a litter here and there or from the puppy mills than yes but if you compare us to store and some high end breeders than it's still true she’s not the most expensive out there. But honestly there is no comparison with the pups from my grandma. See TLC stands for Tender Loving Care which every one of us pups get here from the time we are born. The clients who get her pups rave over how wonderful we really are and recommend grandma to everyone they know wanting a pup! We are more than just a pup we are family that why we are her grandpups! Grandma raises all of us in her home we have never seen an outside kennel so we are use to all the home environmental sounds and not skittish when we go home hearing them for the first time. Grandma is also a State inspected facility and inspected at least two times a year where they say she has a puppy daycare and nowhere close to a puppy mill (The clients that are blessed to be close enough and come visit with us, say that as well). Grandma clients are always amazed when arriving saying how clean looking and smelling everything is. Some clients even say after reading about her pups they ask their self is this for real and then come and say I had to see it for myself it really is real! We do offer referrals if you want to talk to some of our clients as they always tell me I can use them. Grandma takes pride in providing you with the very best puppy out there it takes lots of hours but she says we are worth it. My health care is above what is expected to, my vet is a mobile vet who comes to me so no chance of catching anything at a vet office either. At 8 weeks I leave here with not one Bordetella but two because grandma says vaccines take 10-14 days to get in my system and since this is a airborne disease she wants me protected when I leave here. I also will have not one but two of my four needed puppy vaccine and if I am older I get one every two weeks till my series of four are completed. But once again grandma goes a step further and she is one of the few breeders who included Corona vaccine because it is as bad as parvo if I come in contact with it. I will receive preventive wormers every two weeks. Grandma also starts preventive Parasite preventive this is important because stress brings coccidiosis parasite making it active and since she does separation training so you don't have too she starts that at 5 weeks and continues every two weeks till we leave. I receive my first heartworm preventive at 4 weeks and again from my vet with my health certificate that one is Revolution which gives me a 30 day protection against fleas too. Then my grandma will not let us leave till I get till I am at least 8 weeks and received my nose to tail vet checked health certificate which is not the normal health certificate. See for health certificate most vet are looking after the breeder checking only the required items, but grandma vet first comes to her to protect us then he wants to check everything requires by law and above that he checks for hernias, fontanel openings, knees, hips, nose openings and even my bite. This not only protects you but no surprises for my grandma as she gives you a full one year health guarantee against birth defects which to date she has not had to make good because he checks us out so good. So see grandma has done everything you give you the buyer a top quality pup you will be proud of with health care and manners so now all I’m missing is my family, is it you? Hey I am grandma and this sweet puppy has done a great job telling you about itself. So as you can see I have smart sweet puppies that are taught manners and given great healthcare with NO SHORT CUTS. It is true I take no short cuts on their health care which is expensive in itself but a healthy puppy leaving TLC Puppy Love is so important because a family is opening their heart and we do not want a heart to be broken so we do everything humanly possible to make sure that does not happen. But food is also just important I cannot tell you how many breeders have told me about the cheap food out there to save me money. But I tell them my breeders and my pups deserve the very best so high quality food is what we give and yes my food bill is ridiculous but I LOVE THEM! The food has no red or yellow colorings, no corn, no wheat, no chicken, but is loaded with fresh fruits, veggies, chelated minerals, distilled water and never sold to large chains that can store in warehouses lessen the value of your food. Instead we are known at TLC Puppy Love for our training to get a puppy who does cry and howl all night from night one. That’s right it's unbelievable but our puppies are trained to sleep through the night by their self so you both make up smiling in the morning (but you have to follow the training we started). They also go through daytime separation where you can put your puppy in their puppy apt walk all around them where they patiently wait for you to spend time with them with no Yapping and barking. See they are taught barking is rude. Our clients are amazed as they hold and play with our pups then I say put them in their apartment and walk away they say it is amazing the puppy may look at them and then entertain their self. This does not happen by itself but this training is the biggest reason for the price of your puppies. See separation training requires a lot of time, attention and space. See most places you go they pick up a puppy from mom and the litter and off you go then surprise puppy anxiety begins causing the family to wonder why we said we want a puppy and sadly sometimes giving their pet away. Our goal here at TLC Puppy Love is to provide you with a well mannered forever pet that will be in your family till they go to heaven. So we have individual puppy apartments for all pups that are 5 weeks old and older so when they leave here being in pen by their self is normal. We teach them it's time for bed at 10pm and we still stay up talking laughing and lights on but they are quiet and behave. There is a potty tray in their apartment teaching them to use that at night so you don't have to wake up in the night taking them out since their bladder is so small and after weeks you are exhausted. Instead wake up smiling saying good morning sweet baby! The potty tray is wonderful as it has a grid to keep them off urine as it goes under the grid protecting your baby. We also carry extra puppy apartment and U Go Potty trays if you want to purchase one making sure they are in actually the same setup as here making them think they never left grandma but just got a new family. We teach you how to further train your new pup to be loved by everyone showing you how to make them respect you not to bite on you with a neat technique, no jumping on you or bouncing to get out and especially how to continue the no bark training. Then one of my clients told me how she uses a desk service bell to start them with outside potty training as it placed on the floor and you tap their paw on it each time you go out. Since our puppies don’t bark this is a great way to have them tell you potty time. We do not provide that training here because I can’t take a chance for fleas to even start in my home. That would be a nightmare! Your puppy has had grooming since two weeks old with hair trimmed weekly around eyes, hygiene area, nails filed, and then before leaving given their first to second bath. This is wonderful because it helps make it easier for you to keep up on their grooming. There is no way one person can do all we do here so it takes family working together and I have the greatest most understandable family ever! 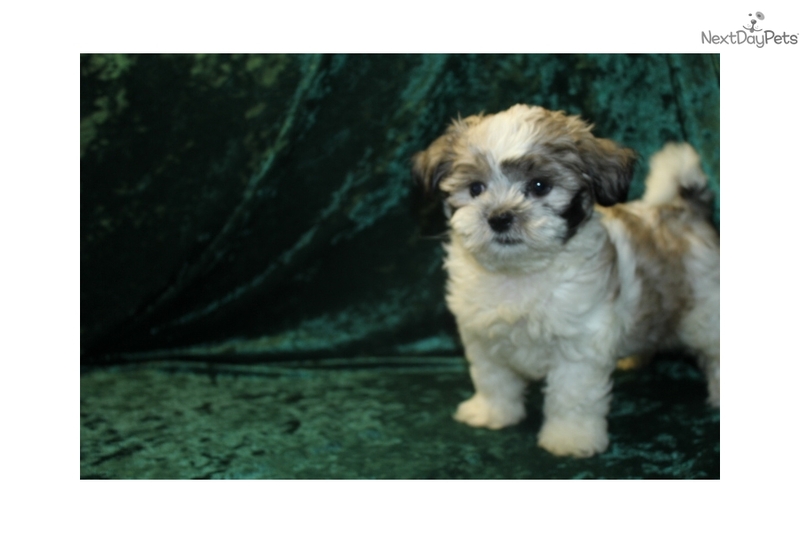 We also take many pictures for you to view to know we really have a puppy and know it’s not a scam. We open our home for you to come view the puppy and see where they come from. If you choose one that is not old enough to leave yet you can take advantage of our weekly visitation with your puppy which is a great bonding time. I do not know another breeder who does this because it is time consuming but once again this is one of our perks making our puppies the best choice for your family. When picking up your puppy we don't meet you on a roadside somewhere, instead we are proud of where our puppies come from and have you come to us. But with that said we have many clients who are out of state and too far to drive to visit we offer a weekly 10 minute live video session with your puppy using Skype, Tango or Facetime. 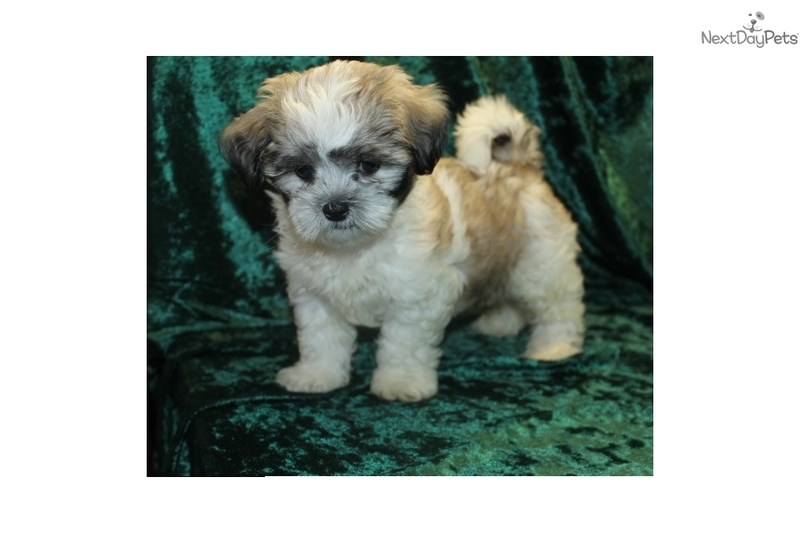 Or if you are trying to decide on take advantage of our video session as well I would love to showcase puppies for you! If we are still too far away to travel to pick up your bundle of love we fly Delta puppy first class which is excellent care for your puppy and to date all my clients tell me puppy gets out tail wagging and giving puppy kisses. It is the best travel if I have to fly a puppy as they are kept in a special compartment that is climate controlled. 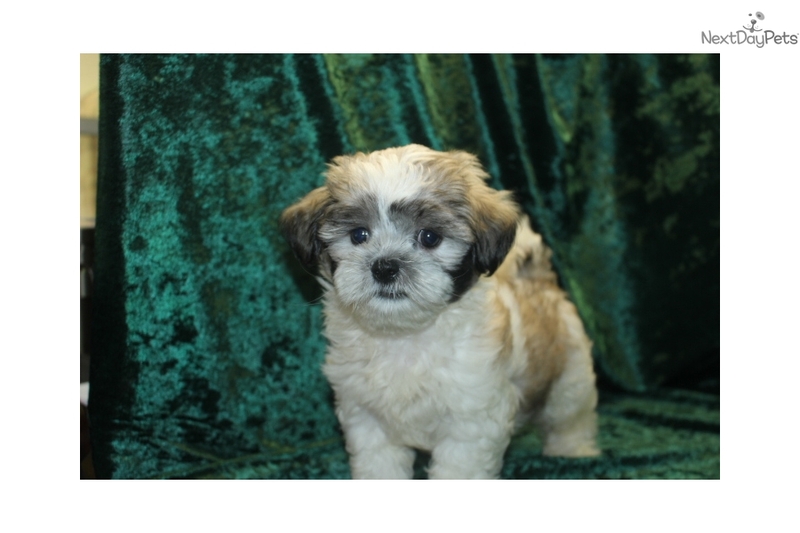 Cost range between 350-450 all depending on breed and temperatures, that is an additional cost and I have referral if you need to talk to clients to see how well adjusted the puppy arrived. But one stipulation you must call me immediately after opening their crate so I know our puppy arrived happy. I have tried to think of everything to make my adoption process an enjoyable process for both of us. I started calling myself grandma because when they leave here they have new parents. I love each one of these puppies that I have been blessed to hand deliver and take care of till they go to their forever home. Their mom and dad’s are so precious to me. I treat each of them as my children. My adult dog are also so important to me they do not put their feet on the ground because being breeders I don’t want them get flea and spread to their babies and my other dogs. But they do go outside on a wood deck above ground that gives them sunshine and playtime 5 times a day. They have skylights to also allow natural sunlight as this is vitamins for my adult dogs.Mom is given a special diet during her pregnancy including Vitamin C , E, AND YOGURT. She stays close to me the last 2 weeks and sleeps in my room so I know if she starts in labor. This is the best part of my job I love the birthing process. When mom is in Hard labor she sits on my lap and I hand deliver each pup, cut the bag open, clamp and cut the cord, then clean the puppy up. This way it saves mom so much energy of doing all this so she has more energy to take care of her newborn puppies. Within an hour the dew claws are removed so the nerve endings are not all connected making this less painful on the puppy. We also dock the within an hour if they need to be docked. Then I keep mom close for the first week to make sure they are nursing I try everything I can to make sure mom keeps 100% of her litter. Bedding is washed daily water cleaned three times a day and food kept out all day till puppies leave so mom and puppies has plenty of food. As this sweet puppy mentioned above we do a series of training to prepare your puppy for your home and if you follow through with everything we have started then the transition will be one of the smoothest you will ever experience As this sweet puppy explained each training process above a recap is I will train them separation training am and pm, potty tray training, no bark and wanting my way training. We also sell the playpens and potty trays if you want to keep them using the same thing this really helps with their transition to your home. It’s like taking their home with them only the people have changed. We also give visitation visit if you want to take advantage of this, as it helps with bonding for each of you till time for them to go home. 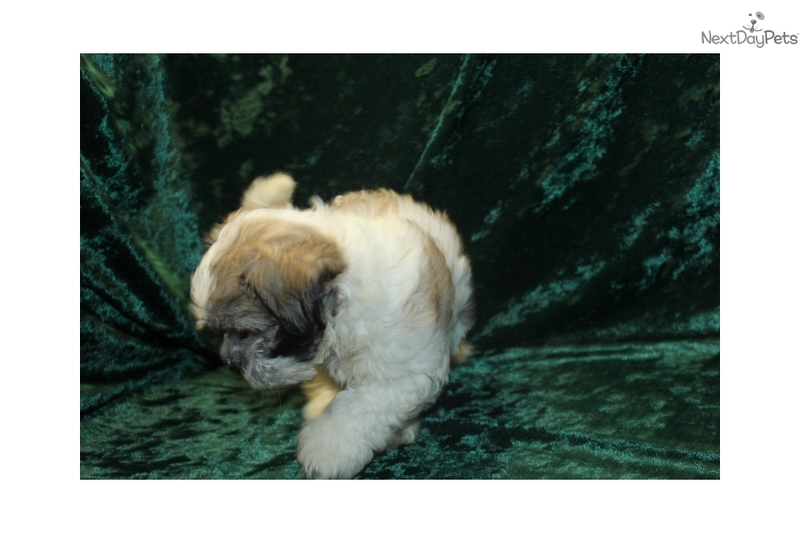 We also take pictures every 7-10 days to keep you updated with your puppies’ growth. We send you an information letter to help you prepare of your bundle of love. We teach them to stay on a harness and leash beside you and not to bite and nibble. Of course the biggest thing we teach them is love everyone and other family pets you have in your home. 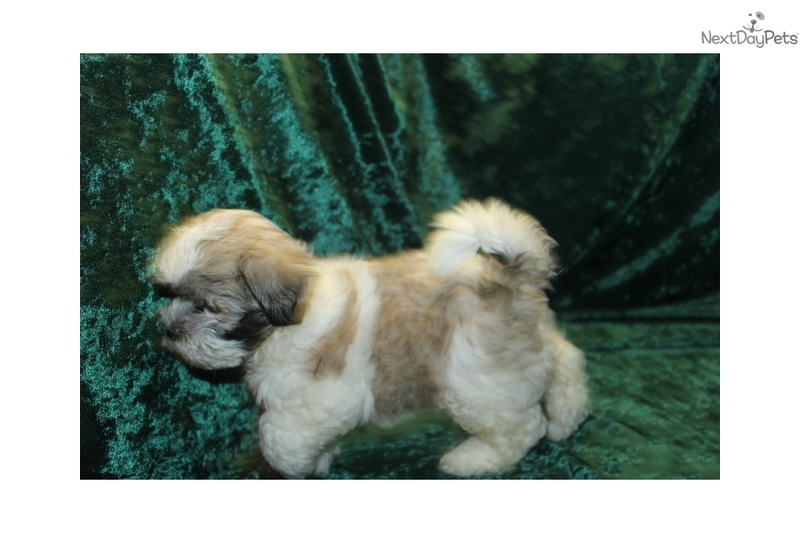 We have many clients who buy a second puppy for their pet and a lot of our clients are coming back for their second puppy from us or buying two at the same time. If you live to far away enjoy your updated pictures but also take advantage of 10 minute sessions once a week with your darling using Skype, Face Time or Tango. We do everything we can to give you a loving social puppy so just ask yourself are you ready for a puppy? It’s not fair to a puppy to take them in a home and give them when the puppy stage is over So consider this adoption process as a human adoption it’s for their lifetime. That brings me to a question so many ask the life expectancy. If kept on all natural food, kept inside and absolutely no table food unless it’s all natural not cooked like fresh carrots, beans, and all kinds of fruits, life expectancy should be 18-21 years. Your baby comes to you with CKC Papers, pedigree papers to see no inner breeding, dew claws removed, tail may be docked, all the training described above, health certificate, 2 sets of puppy shots, 2 sets of Bordetella, puppy worming, heartworm treatment, Coccidian treatment, Revolution Flea & Heartworm treatment, grooming includes hygiene area, eyes, under paws, Ears plucked and cleaned, nails clipped, shampoo and a wonderful berry cologne. Saving you time running to the groomer when you get your little darling. We also accept all major credit cards and pay pal for a little extra or you can choose our cash discount. Now let’s talk about this breed to make sure this is the breed that best fits your family. 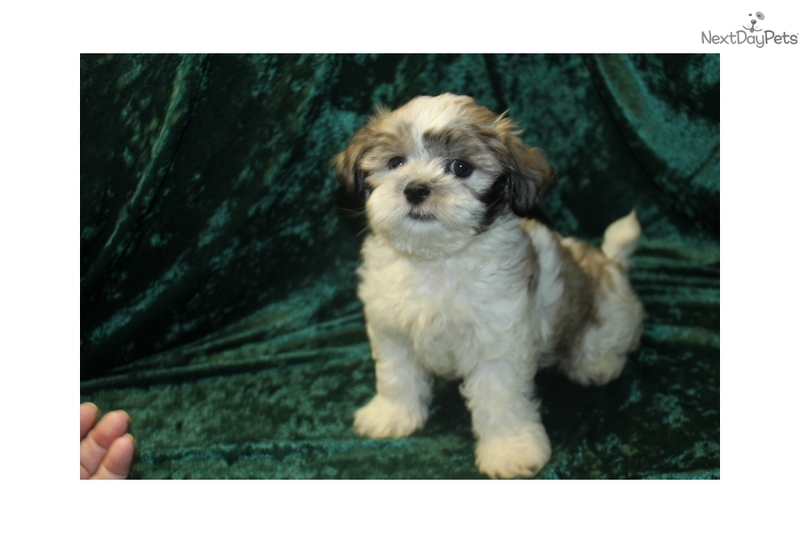 So why should you want Shihpoo, I will tell you a little about this breed Shihpoo these two breeds are great combinations as the Shih Tzu is a very lovable loyal breed. They are calm and love to be cuddled. They stay close to you making them known as the velcro dog. 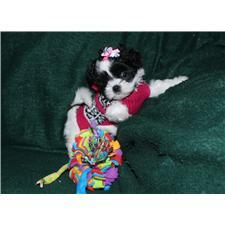 The poodle is the Highly intelligent part of this breed. They also stick close but because they are so smart they think they are human and are insulted if you call them a dog. They love to learn and want you to challenge them with new things. 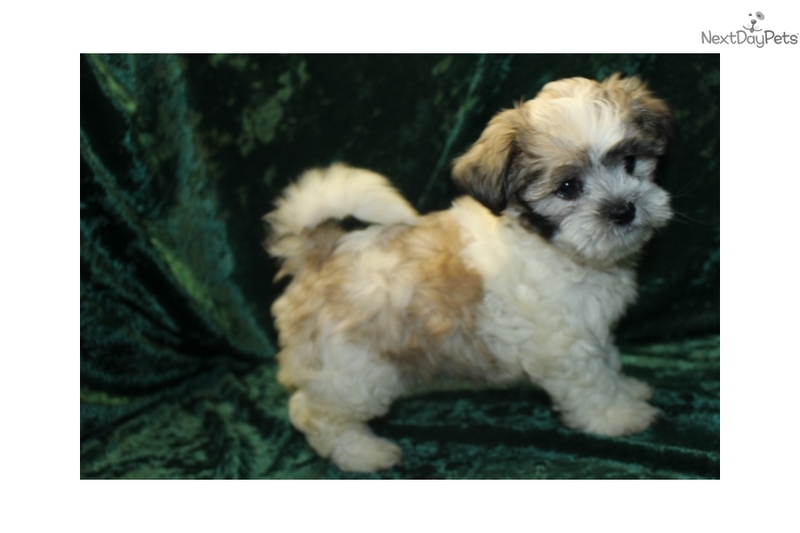 The Shihpoo is a perfect size for apartment or condo living. But the best is their Hypoallergenic and non-shedding. 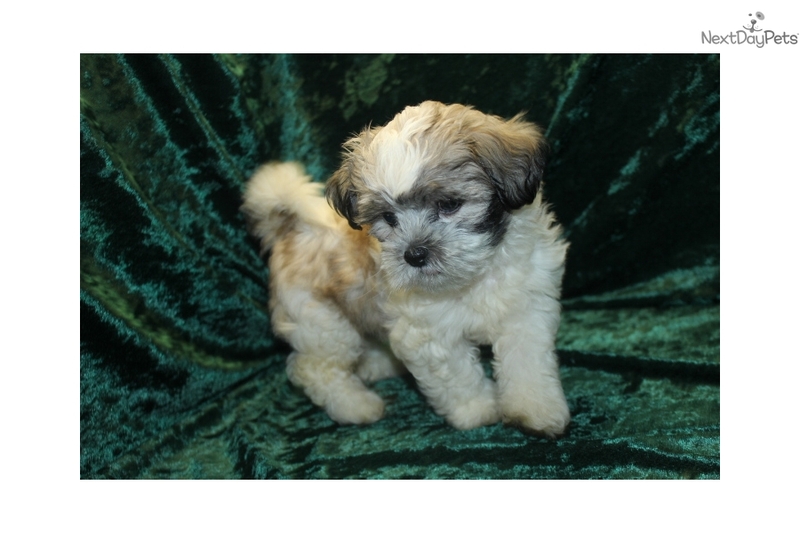 More importantly they love to be a lap dog so if you want a puppy to cuddle and love look no further Shihpoo is for you! Of course it is important to continue socializing with children, friends, animals. This breed is also easy to travel with. 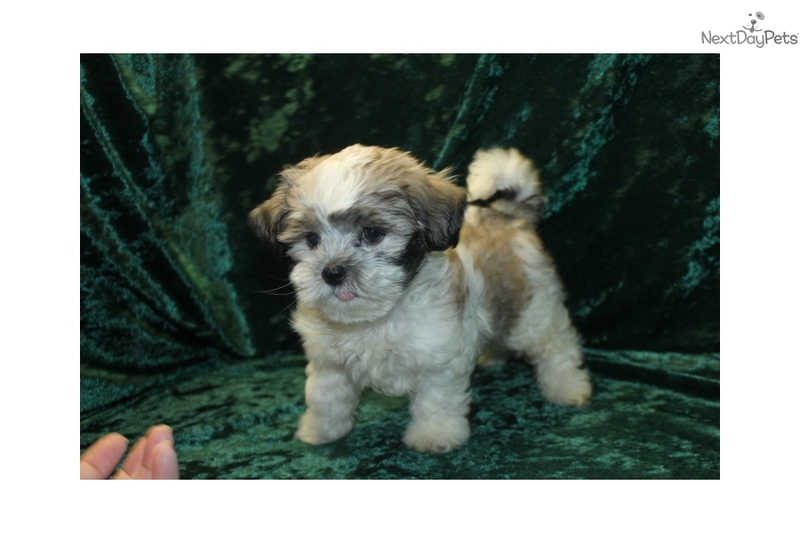 As much as people love the Shihpoo breed it seems many people ask me all the time which is better a male or female. This has to be your decision but this is what I know the difference is. People love females because they can dress them up put bows in their hair and if you have a little girl they love to paint their nails. Other people love males for many reasons first off they are more laid back and more lovable. That is probably because the female has to have more energy to take care of her litters. And when it’s time to get them fixed Neutering is less expensive and is an easier surgery with a faster recovery time. So you have to decide what fits your home the best and then choose the gender. Either way you can’t lose because they are both very lovable! 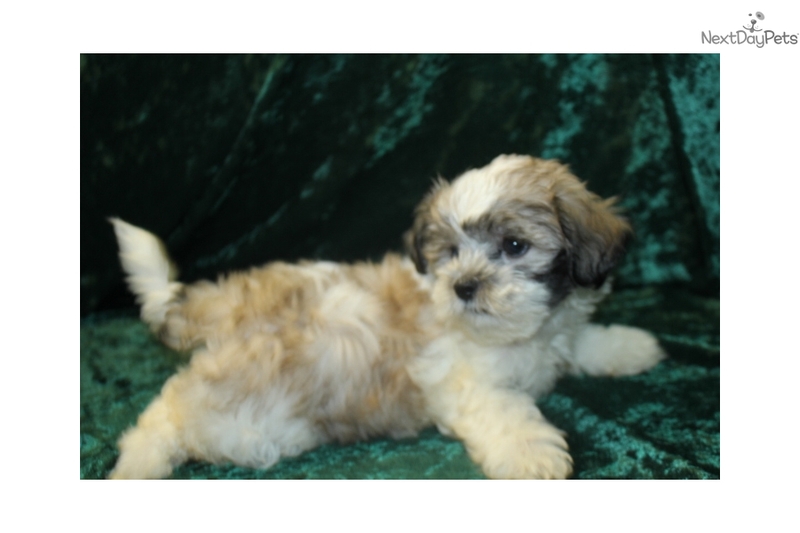 With that being said this adorable male shihpoo pup would love to make you or one of your family members the perfect family member ever! 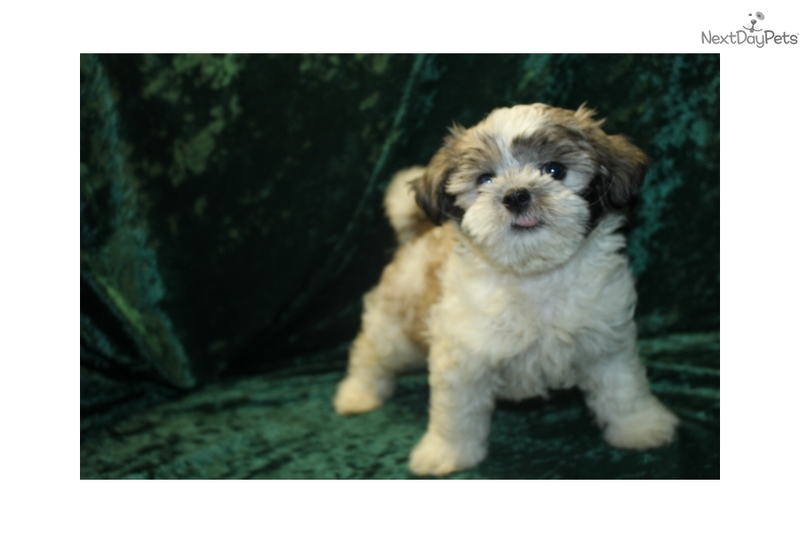 So what are you waiting put your $200 non-refundable deposit on this sweet male puppy Reg $4000 Special Cash Price $1750 Credit card $1825 Don’t wait to longer as this cutie may get away Call or Text Stacy Today 904-838-9628 and say I want Male Shihpoo Snickerdoodles.